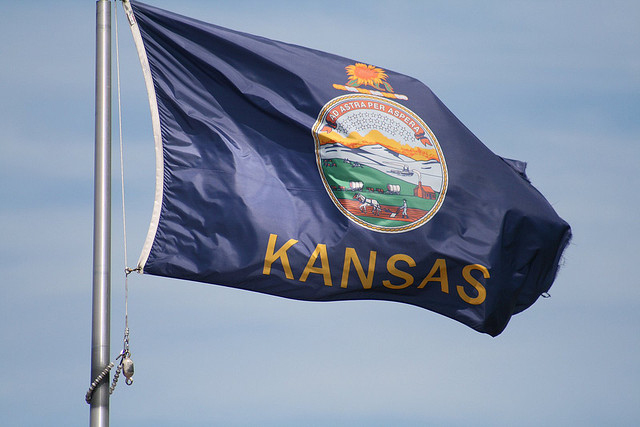 Flag of Kansas; photo by Les Stockton on Flickr (noncommercial use permitted with attribution / share alike). 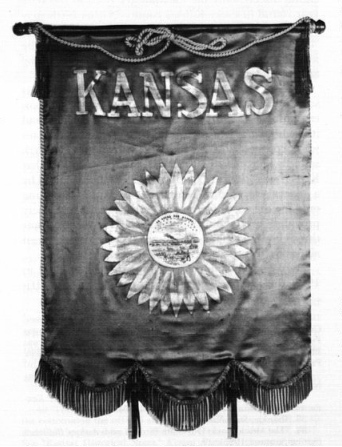 Kansas legislature designated an official state banner in 1925 which featured a sunflower and the state seal on a blue field. 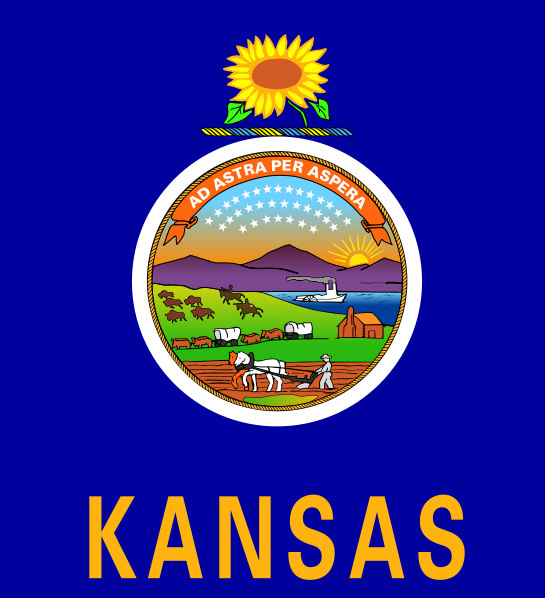 Many felt it was not "a proper state flag," and legislation was passed in 1927 which recognized the current flag of Kansas as the official state flag. Image copied from James H. Nottage and Floyd R. Thomas Jr.'s article from the autumn 1985 Kansas History magazine, "There's No Place Like Home" (published here under the principle of fair use). Center design on the flag of Kansas; public domain image on Wikipedia. 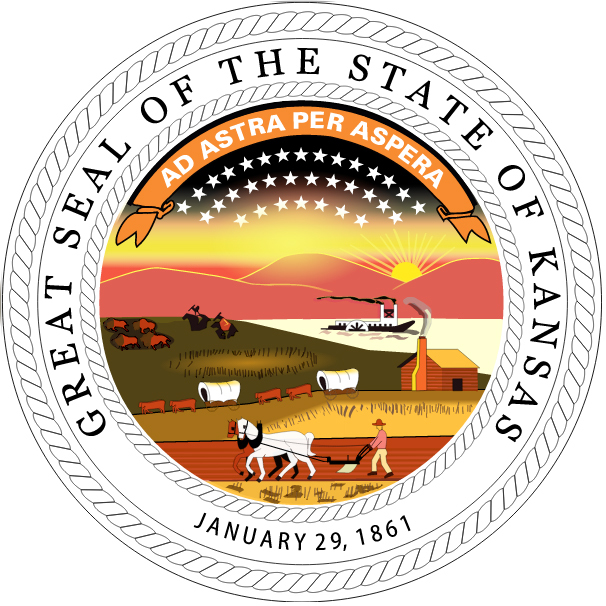 Seal of Kansas; public domain image on Wikipedia.